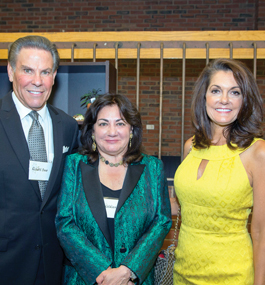 Grateful for an educational experience that taught them how to analyze complex issues and fostered close relationships with faculty, two alumni trustees have made generous gifts in support of the Catalyst Fund, which is raising money for undergraduate scholarships and graduate fellowships. 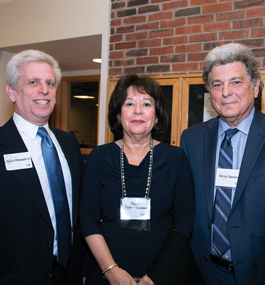 Recently retired corporate executives Lisa Kranc ’75 and Larry Kanarek ’76 made their gifts to help ensure that a Brandeis education remains accessible and affordable to future students. While majoring in American studies, Kranc stretched her academic horizons by taking courses in a wide variety of disciplines. 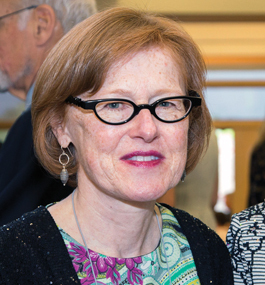 She thrived, she says, in Brandeis’ learning atmosphere, built around the scholarly approach and close interactions between students and professors. She particularly remembers sociologist Marshall Sklare, who served as adviser for her thesis on American Jewry. Kranc, who went on to earn an MBA at Columbia, retired as senior vice president of marketing at AutoZone in December 2012. She’s been active in the life of Brandeis for many years. She has served as vice president of the Alumni Association, interviewed prospective students for the Alumni Admissions Council, and chaired her 35th and 40th Reunions. Kranc joined the Board of Trustees in 2012. 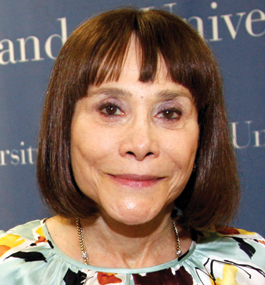 Last year, she established the Sam and Sara Kranc Endowed Scholarship in honor of her parents, Holocaust survivors who stressed the importance of education to their children. Her brother Moshe ’76 and three cousins also graduated from Brandeis. 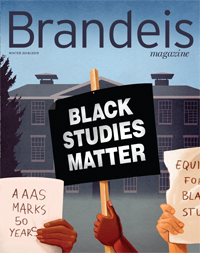 Like Kranc, Kanarek flourished at Brandeis. The economics major grew particularly close to Barney Schwalberg, taking six classes taught by the longtime economics professor and also working with him on his senior thesis. “I actually have a major in Barney Schwalberg,” jokes Kanarek, who retired last year as senior director at the global management consulting firm McKinsey & Co.
Kanarek didn’t just discuss business cycles and monetary policy with Schwalberg. Their wide-ranging conversations about everything from sports to Russian literature influenced Kanarek’s career path — he decided to attend Harvard Business School rather than pursue a PhD in economics — and life. To honor his mentor, Kanarek chaired the fundraising campaign to establish the Barney Schwalberg Endowed Scholarship about 15 years ago. He has supported a number of other Brandeis initiatives, including the Joel Friedland ’76 Endowed Study Abroad Scholarship, and recently established another endowed scholarship. After serving on the board of overseers at Brandeis International Business School, he joined the university’s Board of Trustees in 2010. He also chairs the presidential search committee. 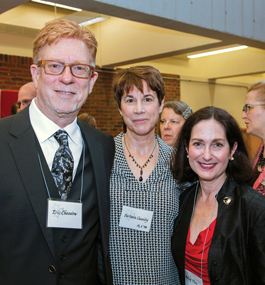 “Brandeis changed my life by opening up a world I didn’t know existed,” says Kanarek, whose sister, Linda Kanarek Sherman ’70 (co-chair of her 40th Reunion), and brother-in-law also graduated from Brandeis. “It gave me a thirst for learning and curiosity that opened my mind and changed my views. A familiar face is back on the Brandeis campus in a new role. 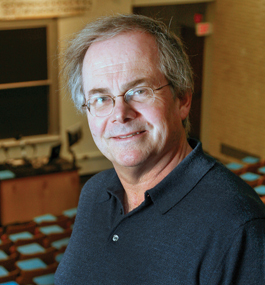 Gregory Petsko, Brandeis’ Gyula and Katica Tauber Professor of Biochemistry and Molecular Pharmacodynamics Emeritus, has returned as a member of the university’s Board of Trustees, elected to a four-year term. 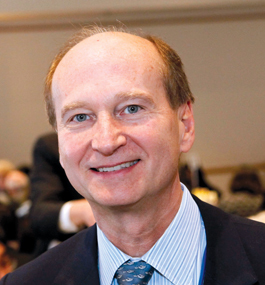 In 2012, after more than two decades on the Brandeis faculty, Petsko left for Weill Cornell Medical College, where he serves as the director of the Helen and Robert Appel Alzheimer’s Disease Research Institute, and the Arthur J. Mahon Professor of Neurology and Neuroscience in the Feil Family Brain and Mind Research Institute. Despite being based in New York City, he continues his successful research partnership with Dagmar Ringe, the Harold and Bernice Davis Professor of Aging and Neurodegenerative Disease at Brandeis. He says he enjoys his current position at Cornell’s medical school but misses being part of a university. Former Brandeis President Frederick M. Lawrence first approached Petsko about becoming a trustee late last year. “It was a perfect way for me to maintain contact with Brandeis and maybe do something to help through my understanding of the faculty and the science enterprise,” Petsko says. A Princeton graduate, Petsko was a Rhodes Scholar, earning a doctorate from the University of Oxford. His research focuses on understanding the biochemical bases of neurodegenerative diseases like Alzheimer’s, Parkinson’s and ALS. For me, Reunion is always a highlight on the Brandeis calendar. This June, alumni who graduated in years ending with 0 or 5 — from the “pioneers” of 1955 to the members of the Class of 2010 — returned for Reunion 2015. More than 1,200 alumni and their families were able to renew acquaintances, reminisce about the good old days and show their loved ones around campus. I especially enjoyed watching our alumni connect with the dozens of students and recent graduates who helped us host the weekend event. These alumni saw themselves in today’s students and discovered that the characteristics of a Brandeisian — intellectual curiosity, determination, ambition and the commitment to making the world a better place — have not changed over the years. Alumni were not only proud of the students who have come after them, they took great pleasure in learning about the university’s many recent successes — a 35 percent increase in applications from high-school students over the past five years, strong support from prestigious national institutes for life-changing research by faculty, and stories from numerous alumni who are succeeding at the top of their professions. Reunion attendees also marveled at how the campus has changed since their student days. New buildings such as the Mandel Center for the Humanities and the Carl J. Shapiro Science Center facilitate the interdisciplinary collaboration involving faculty and students that has become a Brandeis hallmark. As an expression of their collective appreciation for the important role Brandeis has played in their lives, the 12 Reunion classes — 1955, 1960, 1965, 1970, 1975, 1980, 1985, 1990, 1995, 2000, 2005 and 2010 — raised more than $6 million to support the university. Thank you for your ongoing dedication to Brandeis. Chris Bedford, the Henry and Lois Foster Director of the Rose Art Museum, and Liz Krupp, chair of the Rose board of overseers. 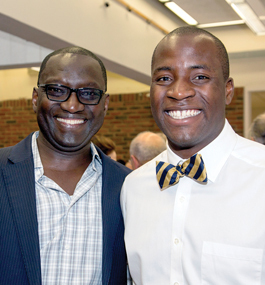 Students, faculty, alumni, parents and friends gathered for Commencement Dinner, an annual celebration of Brandeis and an opportunity to meet the honorary-degree recipients. Four new members — two parents of alumni and two friends of the university — have been elected to the Brandeis Board of Fellows, an honorary society that recognizes significant contributions of time or resources in support of the university. Ambassador Stuart Eizenstat, H’01, who served in senior positions in the Carter and Clinton administrations, is currently senior adviser for Holocaust issues with the U.S. Department of State. 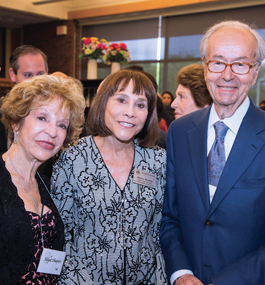 He served on the university’s Board of Trustees for eight years, and made a generous gift in honor of his late wife that established the Frances Taylor Eizenstat ’65 Undergraduate Israel Travel Grant Program. Carol Kekst, P’05, and her husband, Gershon, P’05, trustee emeritus, have generously supported the university for more than a quarter-century. 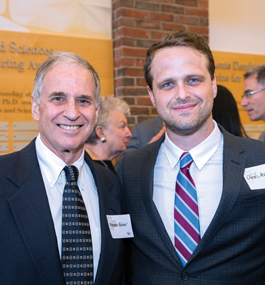 They established the Zalman Abraham Kekst Chair in Neuroscience in honor of Gershon’s brother, and have also supported the Parents Fund and scholarships. Their son Joseph and his wife, Dana, are both 2005 Brandeis graduates. Before her retirement, Carol worked as a child psychologist. Ronald Levy, a retired international business consultant, is a member of the national executive committee of Brandeis National Committee (BNC) and chairs BNC’s budget and finance committee. He served as chair of the Brandeis Lifelong Learning Institute (BOLLI) and now sits on its board of overseers. 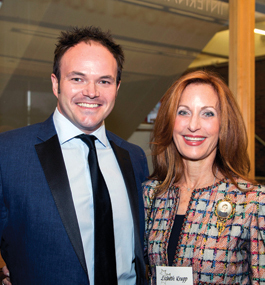 He and his wife, Sandra, generously support BNC and BOLLI, and are members of the Sachar Legacy Society for including Brandeis in their estate plans. 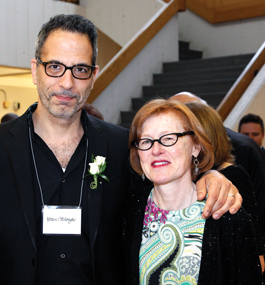 Catherine Sugarman, P’69, joins her husband, Harry, on the Board of Fellows. They established the Katie and Harry Sugarman Endowed Scholarship and helped lead the university’s fundraising efforts in Palm Beach in the 1980s and ’90s. She donated to Brandeis the papers of her late brother, Helmut Hirsch, an anti-Nazi resistance hero. Her son David was a member of the Brandeis Class of 1969. She worked in fundraising for Brandeis and the Anti-Defamation League.